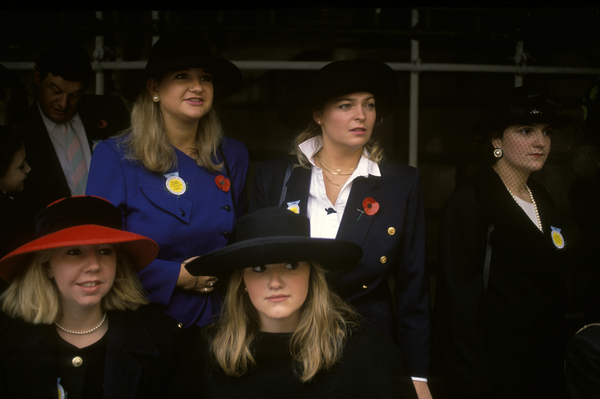 Watching the Lord Mayor’s Show, 1980. © Homer Sykes/Photoshelter. Epsom, let me tell you about Epsom. Bin men pick up rubbish bags with their pinky fingers daintily extended, John Nettles is the law and the starlings sing ‘You’re beautiful, you’re beautiful…’ in Epsom, let me tell you about Epsom. I bought my girl chocolates. There were only Conscious Chocolate, Green & Black’s and Seeds of Change in the pristine shops. Middle-class chocolates with centres such as ‘the better part of town’, ‘a good college’ and ‘a bit of rough’ in Epsom, let me tell you about Epsom. There are no coincidences but sometimes the pattern is more obvious. In Epsom, let me tell you about Epsom. Alexis had a Porsche, in ‘not red dahling; scarlet’. She’d motor to Marks and Spencer’s, to the Downs and to country pubs for lunch. On our first outing she squeezed me in and sped off in a polite cough of dust. A few miles on she remarked worriedly that the car seemed to be dragging to the left. She drove a bit further and then pulled over. She walked around the sportster but could not find fault, drove further and said that the car was still not right. I asked her how many other fat blokes she’d had in there before? I got the train back from Epsom, let me tell you about Epsom.